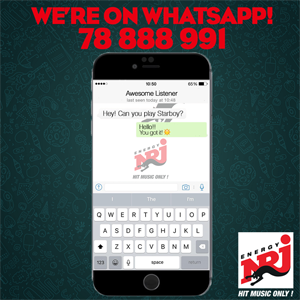 After the constant demand for a NRJ Extravadance night, here is the big announcement. 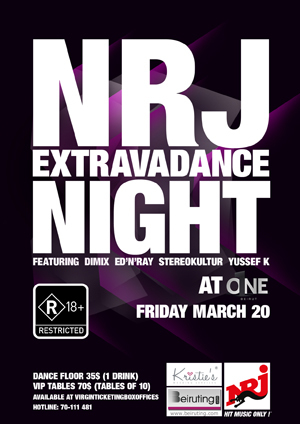 On Friday the 20th of March, we are breaking the routine, & invading the dancefloor at 01Ne Beirut with the 1st ever NRJ Extravadance Night! 5 djs will guide you through an unforgettable night of commercial hits: Dimix, Yussef K, Stereokultur & Ed ‘N Ray. The setup will include a dancefloor & tables. Dancefloor tickets on sale at Virgin ticketing box office for 35$. For table reservations call: 70-111 481.